Apparently, there's a way that even the average person can help save the increasingly sequel and remake-filled movie industry — stop buying your kids so many toys. 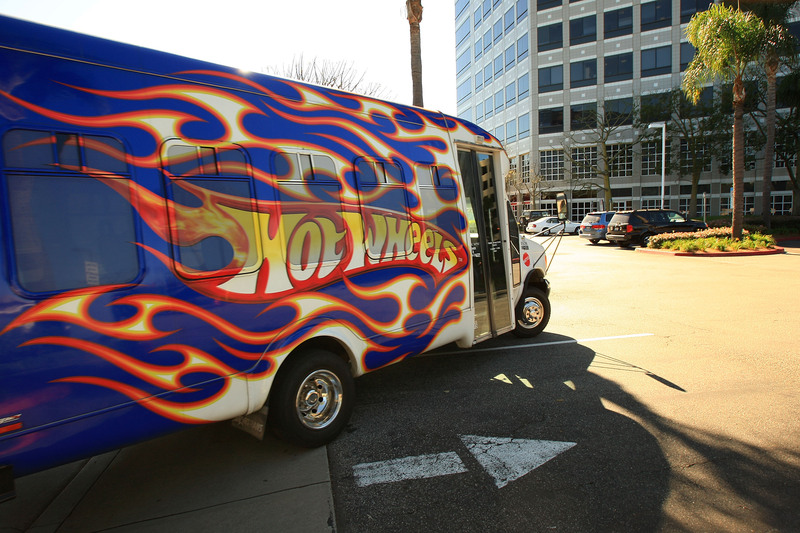 Hollywood has gotten so desperate for cash that there is going to be a Hot Wheels movie. For those of you not familiar, they're the tiny metal race cars that kids like to play with, because if a movie can't sell tickets, at least it can sell licensed merchandise. That's what I'm assuming the goal is, anyway, because why else turn a toy that doesn't even feature any kind of person, animal, object-that-talks or anything else alive, into a movie? We already have the Fast and the Furious franchise, which is basically Hot Wheels made to scale and driven by Vin Diesel. Cars 2 was basically made for the merchandising opportunity, so it's not far off to think studio Legendary may be making a movie that brings both them and Mattel some easy cash from excited kids and their parents. The only other possible explanation is the theory that toys are the next big movie subject. The Lego Movie actually looks really good, and all of the Toy Story films are obviously amazing. But every movie about toys isn't going to be Toy Story. Look at Cars and its sequel — while they made plenty of movie, they can't remotely be compared to any Toy Story movie content-wise. And they were made by Pixar — Pixar! Well, enjoy Christmas of 2014, kids out there. I have a feeling that your stocking will be sponsored by Legendary and Mattel. The only possible redeeming trait for adults is that it's being directed by Simon Crane and while he's only ever directed the upcoming Echelon, his stunts resumé is much more impressive. He's done stunt work for almost 60 films, including Braveheart, Saving Private Ryan, Titanic, X-Men: The Last Stand, The Mummy and many more. At least if you have to sit through the Hot Wheels movie, it'll have some great action sequences. Maybe they'll take place on a rug made to look like a racetrack.